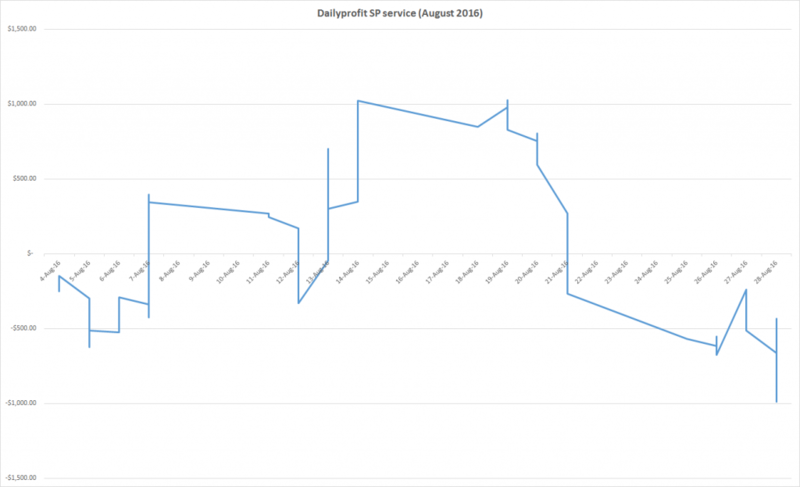 Another losing month for the Dailyprofit SP service. Once again due to the horror AFL season. September sees the end of the Aussie footy codes but welcomes the American version. In total we placed 65 bets and won 26 of them (40.0%). We placed bets totaling 101.40 units ($10,140.00) and lost 6.088 units ($608.88). That is a -6.00% ROI. The previous update was a -15.6064 loss. 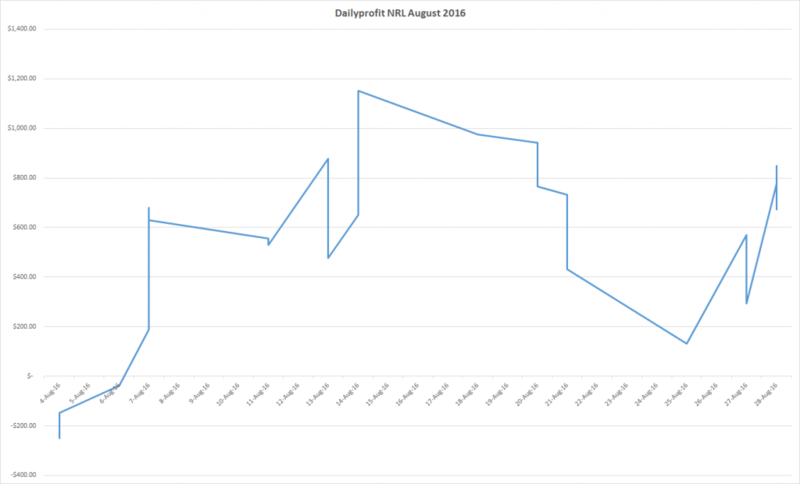 The month was looking good until a few bigger loses from the 21st of August made the month end in a small loss. 44.20 units ($4,420.00) were bet for a loss of 13.9164 units ($1,391.64). That is a -31.50% ROI. Again it was the NRL that shined as it has done all season. In total we bet 54.2 units ($5,420.00) and made a profit of 6.7371 ($673.71). That’s an ROI of 12.40%. We had a winning bet on the final and that added 1.0905 units profit to Augusts total. More pain for members following the AFL service and more joy for those following the NRL one. 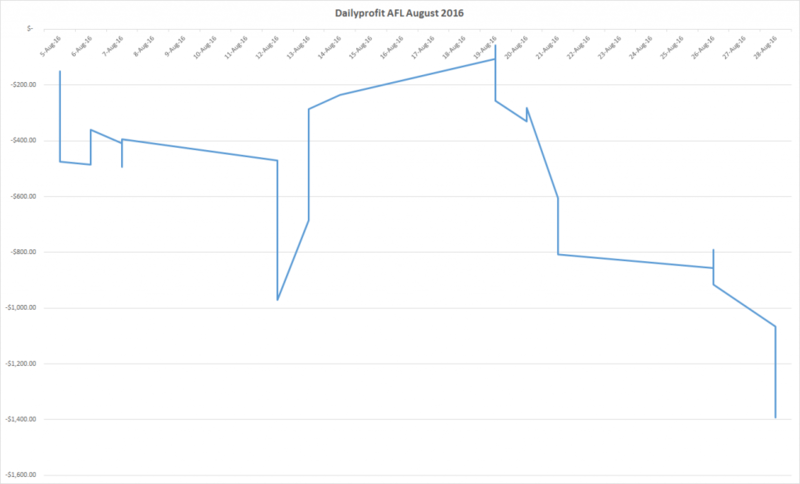 Overall a small loss on the month and we just need to keep following the script and wait for those winning months.